A quick post today with a few simple thank you cards. I love to make thank you cards but because I need to generally make quite a few of them at once I don’t have too much time to dedicate to making overly complex cards so I tend to go down the quick and easy route. I started off really simple first and used some of the Webster’s Pages papers I picked up last year along with my planner. The string and sentiment I dug out of my stash for a really cute and simple card. Despite my general disappointment with Webster’s Pages products their paper pads are actually really nice. The designs are vivid and the paper is thick. It’s not double sided but that’s not a deal breaker for me. Another cute sheet of paper from the pad although the string is probably a little too close to the middle of the card. If only I could tie a nice bow I would have liked to have finished these cards off with a bow made of the string. 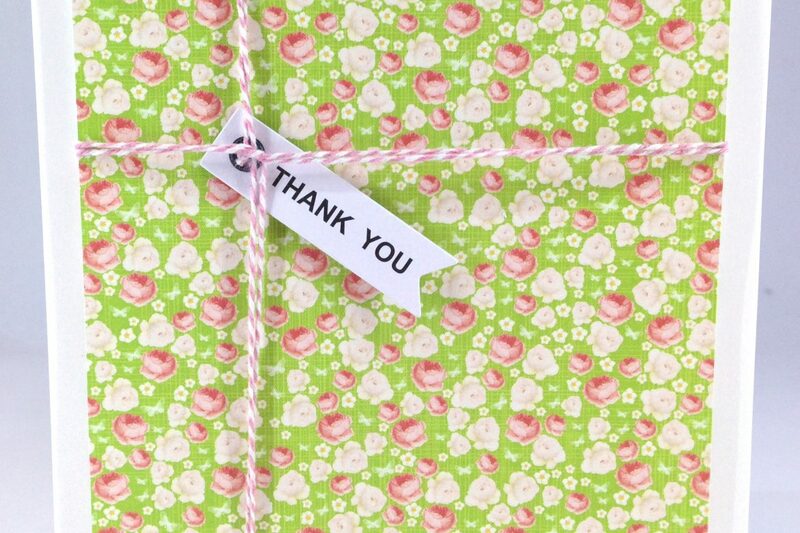 I have rolls and rolls of washi and wanted to put it to use in my final thank you card. I used some of my favourite washi on this card. Given that this was a thank you card for Christmas presents the colour scheme works perfectly. The thank you is from a stamp I made using my Silhouette (stamp material review coming soon!) and embossed.